Amrita University, SRM University and VIT University are renown names when it comes to engineering colleges in India. Apart from them, institutes like B.S. Abdur Rahman Crescent Institute of Science and Technology and Hindustan Institute Of Technology & Science (HITS) are also most sought after engineering colleges. 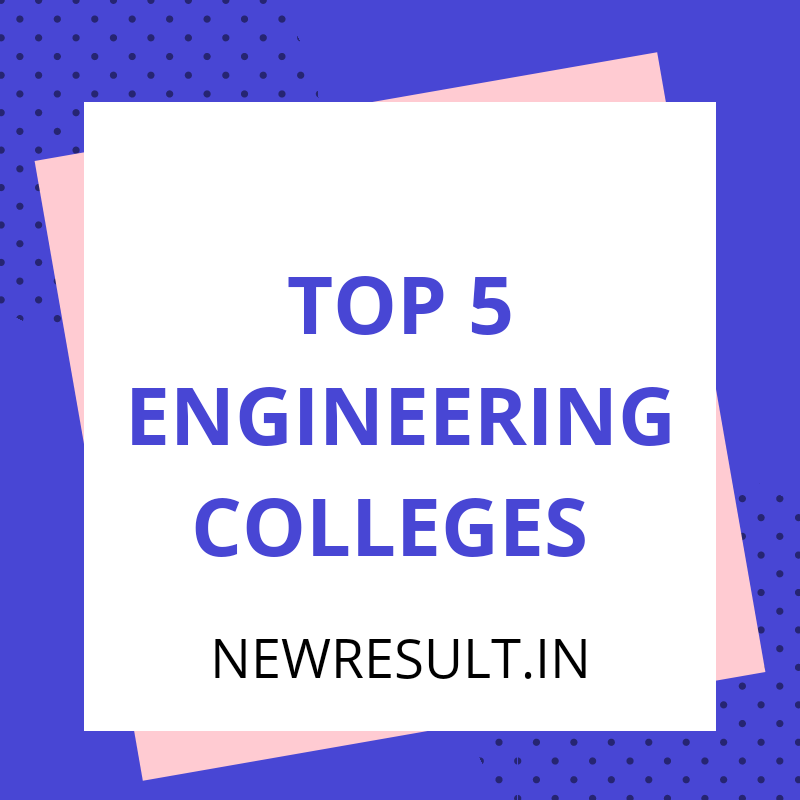 These five major engineering colleges are located in the state of Tamil Nadu. Vellore Institute Of Technology is situated in Vellore, Amrita University is in Coimbatore, SRM University is in Chennai, HITS is located in Chennai andCrescent Institute of Science and Technology is also situated in Chennai. The admission to these 5 Institutes for B.Tech Engineering courses is now open for the academic session 2019-20. The last date to fill the application form for VIT admission is February 28, 2019. The last date to apply for SRM University admission is March 31, 2019, and for Amrita University the last date is April 20, 2019. Vellore Institute Of Technology (VIT): This institute has been ranked 16th among all Engineering Institutions of India in 2018 as per the NIRF rankings. In addition to that, it has been ranked within “801‐1000” among World Universities in 2019. The entrance exam of the institute is known as VITEEE. For admission, candidates have to qualify this entrance exam which is being conducted from April 10 to 21, 2019. VIT Admission 2019 – Apply Now! Amrita University: Amrita University conducts the Amrita Engineering Entrance Exam (AEEE) for admission in various B.Tech courses. The exam is conducted in both online and offline mode. The online exam will be conducted from April 22 to 26, 2019. The pen and paper-based exam will be held on April 27, 2019. The last date to apply for admission is March 31, 2019. The university will also accept JEE Main 2019 score for admission from this academic session onwards. Amrita Vishwa Vidyapeetham has been ranked 8th in National Institutional Ranking Framework (NIRF) by MHRD. The University has climbed one position, as in the year 2017 it was placed in the 9th position. Amrita University Admission 2019 – Apply Now! SRM University: SRM University has been ranked at no. 46 in the engineering category. The admission process of SRM University is now going on and the last date to apply for the admission process is March 31, 2019. The exam will be held in the period of April 15 – 25, 2019. For admission, the candidates have to qualify the entrance examination that goes by the name of SRMJEEE. SRM University Admission 2019 – Apply Now! B.S. Abdur Rahman Crescent Institute of Science and Technology: The admission to various engineering courses will be starting in the month of January 2019. The exact admission dates have yet not been released. Candidates will have to apply online and qualify the entrance exam known as the Crescent Institute Engineering Admission Test (CIEAT). It has been ranked 3rd among the Engineering Institutions in Tamil Nadu in “Teaching, Learning, and Resources” by National Institute Ranking Framework (NIRF), MHRD. Hindustan Institute Of Technology & Science: The application forms for admission in various engineering courses in this college will be available in the month of December 2018. The admission test, known as HITSEEE, will be conducted in the month of April 2019. This college is known for its highly qualified and experienced faculty and excellent infrastructural facilities. It is one of the most sought-after engineering colleges of Tamil Nadu. For more updates stay in touch with Newresult news!